“'I can’t change the direction of the wind, but I can adjust my sails to always reach my destination.' Go Utes!" Rising tweeted Thursday. 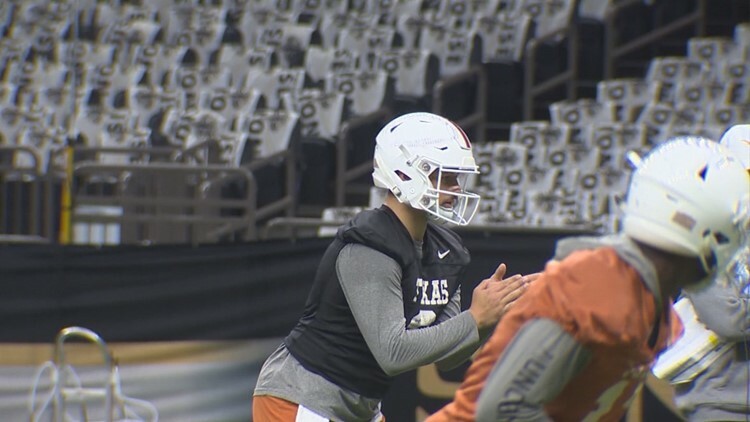 AUSTIN, Texas — The soap opera that is the NCAA's transfer portal has resulted in a transfer from the Texas Longhorns football program. Cameron Rising has signed with the University of Utah. Rising was a highly recruited quarterback out of Newbury Park, California. Originally committed to Oklahoma, Rising ended up signing with Texas to play for Tom Herman and the Longhorns. Rising's recruiting class included fellow quarterback Casey Thompson from Newcastle, Oklahoma. Both Rising and Thompson placed their names in the NCAA's transfer portal, a system which allows a student-athlete to inform their school of their intentions to transfer to another school. Once an athlete's name is in the portal, other schools may begin contacting them. Thompson has yet to make a decision -- and Shane Buechele entered the portal Thursday morning.